Areas affected by Brown Patch are initially roughly circular and vary in size from one to five feet. It is a foliar disease that does not affect crowns or roots. During early morning hours, fine strands of grayish, cobwebby fungal growth (mycelium) may be evident at the margin of actively developing patches. The band (often called a smoke ring) is caused by advancing mycelium and water-soaked infected grass blades. This “smoke ring” disappears quickly as the dew dries. Tall fescue and perennial ryegrass are the lawn grasses most susceptible to Brown Patch. Fine fescues and zoysia are all moderately susceptible to the disease. 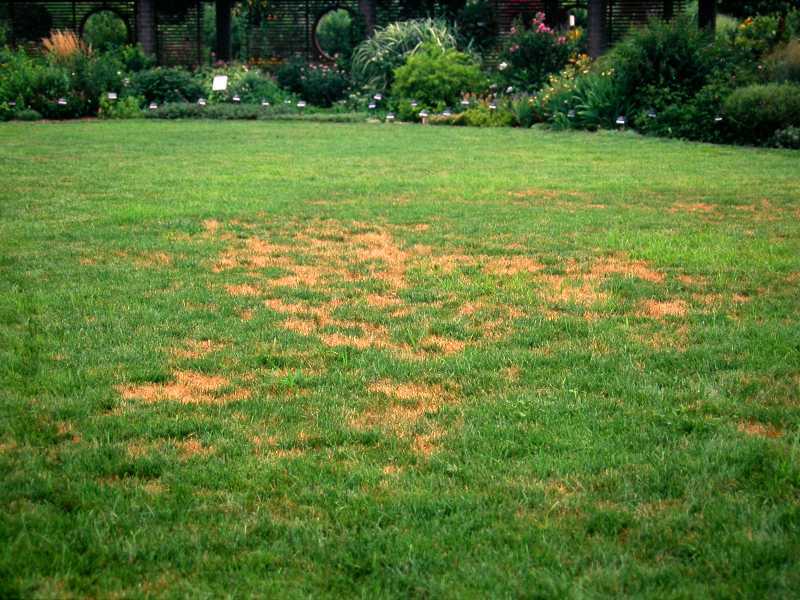 Occasionally, Kentucky bluegrass lawns can be affected by Brown Patch, although this grass is less susceptible than others. 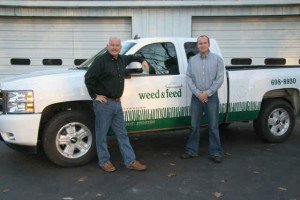 Seedlings of all grasses are more susceptible to infection than established plantings. Brown Patch is most destructive when the weather is humid and temperatures are stressful to the grass. Thus, in cool-season grasses such as tall fescue and perennial ryegrass, the disease is most severe under high temperatures (highs above 85 F, lows above 60 F). → Don’t overwater or water in late afternoon. → Aerate to reduce excessive thatch. → Don’t mow grass when it is wet. → Keep mower blades sharp, dull mower blades also can enhance disease se-verity.